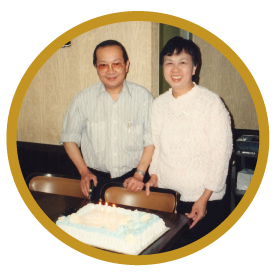 Because of our customers' patronage and support, we have been at the fore front of Stratford's Chinese cuisine for over 44 amazing years. 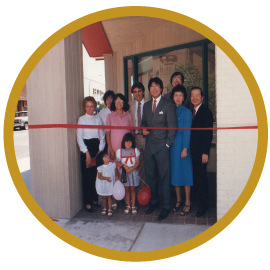 Since our start in 1970, we've gone through some major changes, but our dedication to cooking high quality meals hasn't changed at all. Thank you to all of our loyal customers! Check out some of the most memorable moments in our story. Established by Larry & Rae Gene. 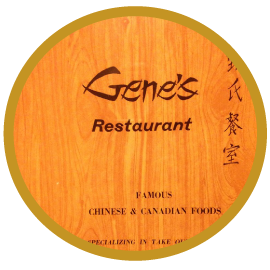 Gene's Restaurant at it's original location on Erie Street in Stratford. 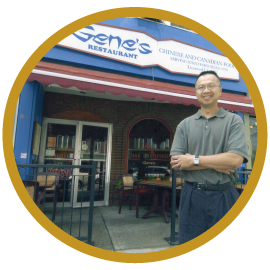 Gene's Restaurant was getting so busy that we decided to expand. Turns out, we liked it better without the expansion. Thank you to all of our customers who stuck with us through our transition period. We teamed up with a great web developer to create an even better website for all of our amazing customers, and brought our dine in menu online. Check it out here. Gene's Restaurant's original owners, celebrating one of many special restaurant occassions. 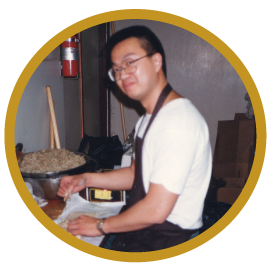 A younger Ken Gene (me), after taking over ownership of the restaurant, keeping the tradition strong and always ensuring our food is made fresh daily. That's how it was then, and we still haven't changed.